This is a guest post by Holly Davis. At the Digital PM Summit in Philadelphia, a conference full of digital project managers (DPMs), it was interesting to hear about the various ways DPMs have found their way into a career in project management. Listening to some of the panels, talks and in conversations with the DPM community, I heard that many, like me, have fallen into the career by accident. It’s often because they have gained the transferable skills found in most good PMs, the combination of soft skills, organisation and a natural aptitude to get things done. But the profession is growing up and new entry paths are emerging. The most exciting of these being the emergence of apprenticeship and the rise in internships and work experience placements both in the UK and US. Scrum Certifications are also increasingly in demand as agencies begin to explore a hybrid of agile and waterfall methodologies. Dave Prior, agile consultant for Leading Agile ran an agile retrospective at the Summit with 100 attendees, 63% of which claimed to be practising both scrum and waterfall in the same organisation. As was clear from the Philadelphia Summit, what works for one person or agency might not work for another. Post-conference I caught up with some DPMs and agencies to see what they had to say. Carson Pierce, PMP and CSM Certified and works at DDB. “Can you be a PM without a PMP? Of course. Most people do. Will you be a better PM with it? Of course – all knowledge is valuable. Mel Wilson, Project Manager at Incuna. “We recognise that certifications in certain industries and environments can be useful, but they don’t usually prepare someone for a career at Viget. They don’t prepare people for what PMs actually do day-to-day in our agency setting. We’re looking for individuals who are smart, detail-oriented, unflappable problem solvers — certifications can’t tell us whether someone has those skills and qualities the way we think a 10 or 12-week apprenticeship scheme can. Certifications in certain industries and environments can be useful, but they don’t usually prepare someone for a career. Most applicants for our apprenticeship have no previous experience of project management. When we embark on an apprenticeship with an individual, there are questions for both Viget as a company and for the apprentice: will they be a good fit, will they actually like the job, what are their strengths. For Viget, an apprenticeship seems to be a great way to start answering those questions. If you can’t find a scheme like this where you live, contact an agency you aspire to work for and ask if they’d be interested in doing something like this at a smaller scale. Shadow days where you shadow a project manager for a day a week can be an incredibly useful introduction to a career in PM. The face of the profession is continually evolving. This time next year there will be new standards, processes, tools and with that new opportunities for people wanting to pursue a career in project management. I predict we’ll see an increase in “just-in-time training” online training courses for project management, as well as alternatives to the CSM/PMP certifications currently on offer. I’m excited to see what effect PathfinderDPM, a new training company launched by Brett Harned and Sam Barnes at the Summit will have on the DPM community. As you can see, the options are vast, so if you’re feeling overwhelmed, start with doing some research. Think about the type of projects and companies you might like to work for. The way companies manage projects can vary massively, do your homework, find out what they look for in a potential employee and then map out which of the options outlined above might help you get there! About the author: Holly Davis is as an experienced digital project manager at White October. With over 5 years of agency experience, Holly keeps projects running smoothly by creating a productive, engaged team and culturing a strong relationship with the client throughout. 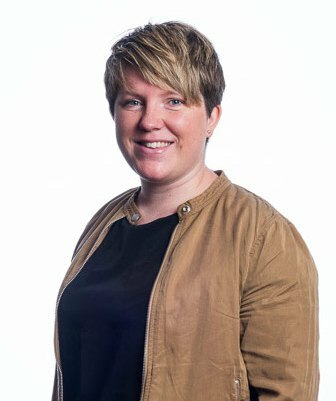 She brings to the role a background in digital marketing and runs a number of projects across the agency. 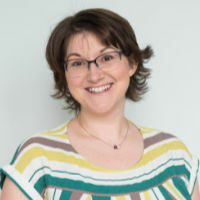 Holly also co-founded and helps to organise a meetup for digital project managers, DOxPM, which has a strong regular attendance and launched its own conference earlier this year. She also contributes regularly to project management blogs. For some time now, I have been doing some research on digital project management and had to follow some of the digital project managers I came across on Twitter. I’m someone who loves the Internet, social media, technology and project management, so I think going the DPM way would best suite my career. Digital for me often means ‘agency’ because so much of the digital space is done on a specialist consultancy basis. I think that is what puts me off personally, although like you, I love the internet! I’m not sure how good I would be in an agency role. But it sounds like it would be a perfect match for your skills. Go for it!